While meteorologists had been forecasting the weather, a very small number of scientists, mostly physicists, had been developing theories to explain the formation of cyclones—areas of counterclockwise turning air associated with low air pressure and stormy conditions. (Cyclones turn clockwise in the Southern Hemisphere.) 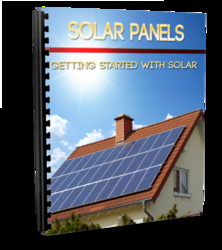 By 1900, theories of cyclonic development, life, and death depended on the principle of energy conservation. The first law of thermodynamics, in particular, relates the conversion between thermal and mechanical energy. (For example, the result of shaking up lead shot in a closed tube [mechanical energy] is that the lead shot becomes warmer [thermal energy]). Acting on this law, the thermal theory of cyclone formation stated that the initial drop in air pressure in the center of a cyclone (more commonly referred to as a storm) was caused by latent heat released when the water vapor carried by upward moving currents of warm air cooled and condensed. 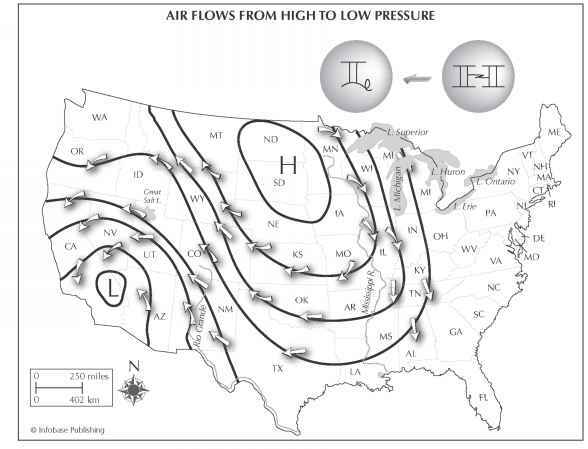 The air pressure then increased in this locally heated area, causing the air to flow out the top of the cyclone. As air moved up within the cyclone, the pressure at the surface dropped. Air flowed into the cyclone from all sides, causing the entire cyclone to spin in a counterclockwise direction. 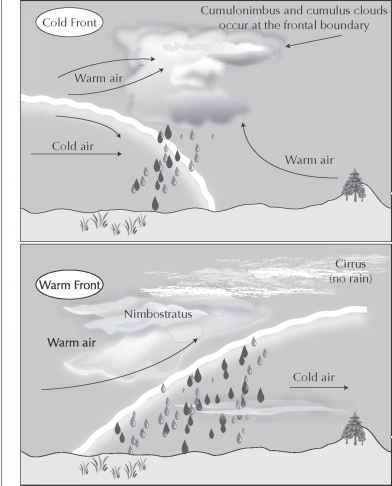 The thermal theory of cyclones required that warm air rise up in cyclones and cold air sink in anticyclones (air columns that rotate clockwise). As long as there were no high-elevation observations, there was no reason to doubt the theory's validity. By 1900, balloons and kites started carrying thermometers aloft and the returning data did not support the theory. Meteorologists would need a new theory to describe how cyclones, and anticyclones, behaved. They needed to apply additional physical principles. The Ukrainian-born Max Margules (1856-1920) trained in theoretical physics at Vienna University in Austria, and later at Berlin University in Germany. He left theoretical physics to take a position with the Zentralanstalt fur Meteorologie (Meteorological Institute) in Vienna in 1882. Although his work focused on the physics and chemistry of air, Margules became increasingly intrigued by meteorology. By the 1890s, he had become convinced that the most profitable way to make progress in meteorology was to combine theoretical work with observational data. Acting on his ideas, Margules set up a small network of observational stations around Vienna in 1895 and studied the resulting data. He examined the temperature and pressure changes that occurred during the passages of "waves"—or stormy weather. On the basis of years of analysis, Margules began to formulate new ideas about the characteristics and behavior of air masses—continent-sized, relatively homogeneous parcels of air—and their relationship to cyclone formation. The movement of air from high to low pressure combined with the effects of a spinning Earth causes air to move counterclockwise and into low-pressure centers, and clockwise and out of high-pressure centers. energy. Although some of this kinetic energy would be dissipated in the real world because of friction and some heat would be lost because air is not confined in a box, it would still be more than sufficient to maintain a pressure gradient, and hence horizontal wind, within the cyclone. Three years later, in 1906, Margules published another paper, "Zur Sturmtheorie" (On the theory of storms), which clarified his earlier ideas. In addition to the development of cyclones, due to displacement of warm air by cold air, he acknowledged that the release of latent heat due to the condensation of rising (and cooling) water vapor would contribute to the kinetic energy in the system. Margules's 1906 paper was not translated into English and very few scholars were aware of it until the 1920s and 1930s, when his theoretical work became widely accepted. Despite, or perhaps because of, his work in theoretical meteorology, Margules was opposed to weather forecasting. He did not think meteorology was sophisticated enough to support prediction. According to the historian of science Gisela Kutzbach, Margules believed that forecasting was "immoral and damaging to the character of the meteorologist." One contemporary scholar who was aware of Margules's work but disagreed with his assessment of the place of weather forecasting in meteorology was the Norwegian Vilhelm Friman Bjerknes (1862— 1951). A theoretical physicist working on problems of fluid dynamics in the late 1890s, Bjerknes had been encouraged by a colleague to turn his attention to meteorological and oceanographic problems after he published his famous circulation theorem in 1898. The fluid-filled atmosphere and oceans were the ideal place to apply equations defining fluid circulation. Discussing the matter with colleagues, Bjerknes was concerned that theoretical physicists were not addressing this scientific problem. He was stunned to find out that most meteorologists did not adhere to any kind of scientific rigor: That is, they did not use mathematics to describe their work. Bjerknes was not sure he wanted to associate with such people. Meteorology was ripe for change in the early 1900s. Balloons were carrying men to new heights, where they collected data that would make possible studies of atmospheric circulation. The potential for a new age in meteorology appeared to Bjerknes. He would apply mathematical rigor and physical laws to forecasting the weather. In his 1904 paper, "Das Problem der Wettervorhersage, betrachtet vom Stundpunkte der Mechanik und der Physik" (The problem of weather prediction, considered from the point of view of mechanics and physics), Bjerknes proposed a fundamentally new path for meteorology that attracted the attention of European meteorologists and led to much discussion in the scientific community. The first step would be to determine the initial conditions of the atmosphere. He would need a closely spaced network of surface and upper air stations to collect data for calculating future weather. At the time, there were few surface stations and no upper air stations. A few aeronautical observatories launched balloons irregularly but had no good way to retrieve the data. Processing weather data from thousands of stations would be a huge task. Nations would need to share their observations, necessitating better communication and data handling systems. If those problems could be solved, meteorologists would be able to use the equations of motion from physics to predict the future state of the atmosphere. In other words, the time had come to use physics and mathematics to calculate the weather. Bjerknes made clear that it was possible for meteorology to be a rigorous science. The days of meteorology as an art, he thought, were over.